Travel first class in these sturdy all season weather insulated overcab professionals. Exceptional road handling, highest specification fittings and space saving on every level. 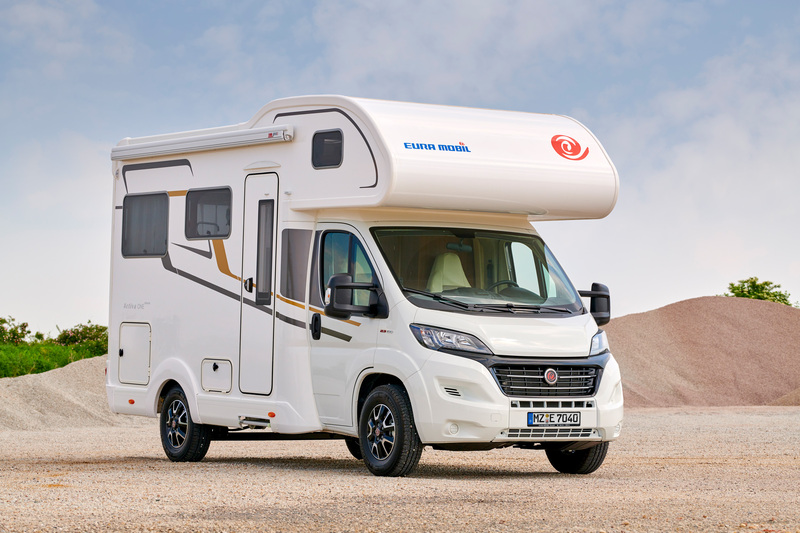 The top cab models from Eura Mobil offer impressive space for luggage provisions and sports equipment. 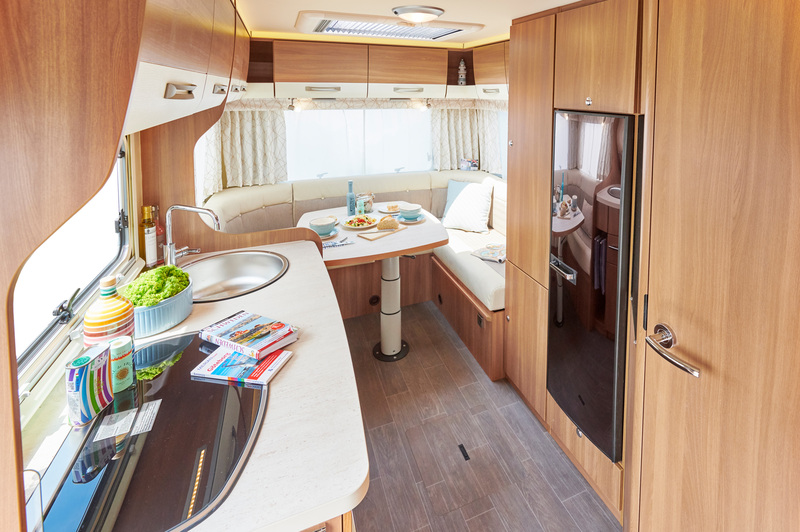 The one piece moulded FRP alcoves are heated and insulated with folding alcove floors and safety net, excellent for immediate use for sleeping or handy storage for items needed on the move. EURA MOBIL SEALED STRUCTURE. Lightweight construction architecture GRP bodywork, wood free modern aviation bonding methods fully sealed superstructure protected against hail damage and moisture resistant. The floor plan develops its special appeal from the combination of handy dimensions on the one hand and high freedom of movement in the interior on the other. 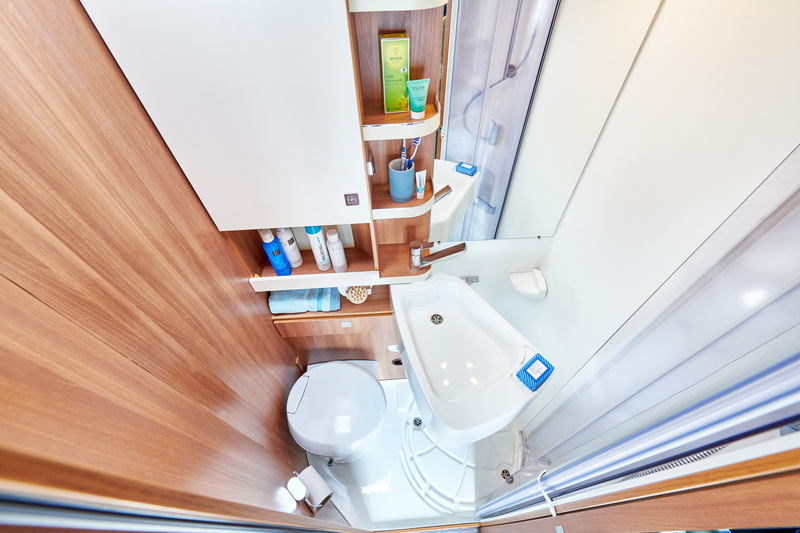 The space required for this is made possible by the new, only 114 cm long compact washroom with swivel wash basin. With 140 cm wide longitudinal seats, the comfortable rear seating group has particularly large storage space in the 37 cm high double floor. 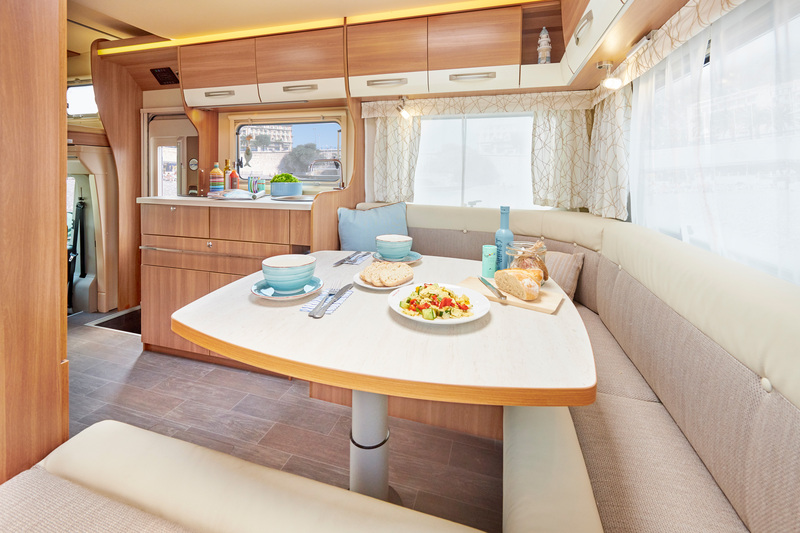 With the belt frame anchored in aluminium profiles on the inner walls, the large storage space under the benches remains unchanged even when the third and fourth belt slots are installed. Three large storage space flaps give passengers optimum access to their luggage from either side at all times. With the aid of the heated double floor, the top cabs in the Activa One series also meet the requirements of the EN 1646-1 winter resistance standard. Walking barefoot in winter will quickly become a habit in the Activa One. The series’ features for the 2019 season will also be upgraded by Seitz insulating windows flush with the outside walls and by switching the water installation over to a pressurised water system. The same quality parameters apply to the Eura Mobil entry-level series as well as to the higher-positioned series. Eura Mobil’s premium claim is backed up by a ten-year guarantee on the leak-proof construction and a three-year guarantee on furniture construction. The backbone for this is the modern construction, made of glued GRP composite material with wood-free walls and a robust furniture construction with aluminium profile reinforcements.